This entry was posted on Sunday, 26 May 2013 at 12:05 AM and is filed under Automotive, Bizarre, Cool, Hot, Humor, Odd, Rat Rods, Retro. You can follow any responses to this entry through the RSS 2.0 feed. You can leave a response, or trackback from your own site. 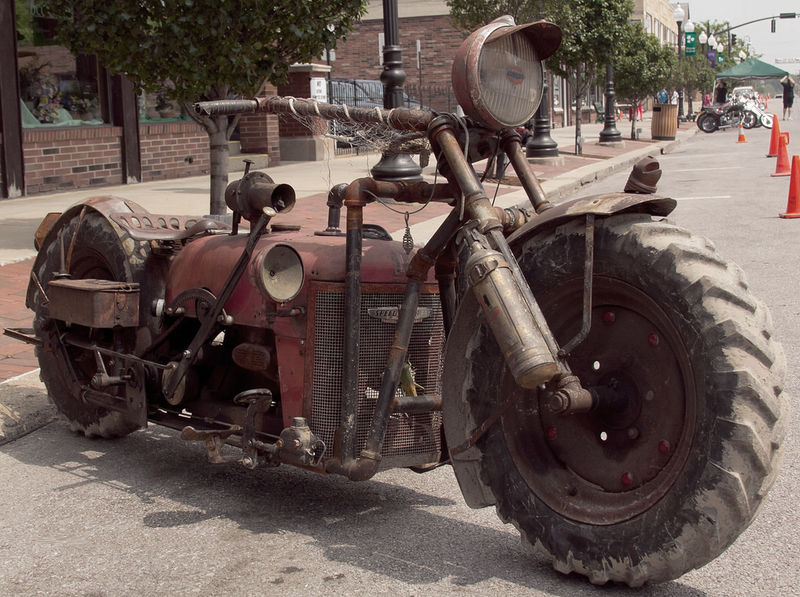 I would not want to mess with the farmer who owns that bike. Whoa. thelit– Never mess with hog farmers.